After an alligator attack killed a 2-year-old boy at a Disney resort in Orlando earlier this week, a Bay Area crisis communication specialist is saying it's critical that the entertainment giant react appropriately. "It's very important for Disney to handle this properly," said Sam Singer. "Disney is synonymous with family, with fun." The beaches around Disney's Grand Floridian Resort in Florida were closed after an alligator snatched 2-year-old Lane Graves off the beach, killing him. Some wonder if Disney did enough to warn the Nebraska family of the danger. Some are sharing videos of toddlers playing in the water to show the lack of awareness. Disney does post "No swimming" signs. 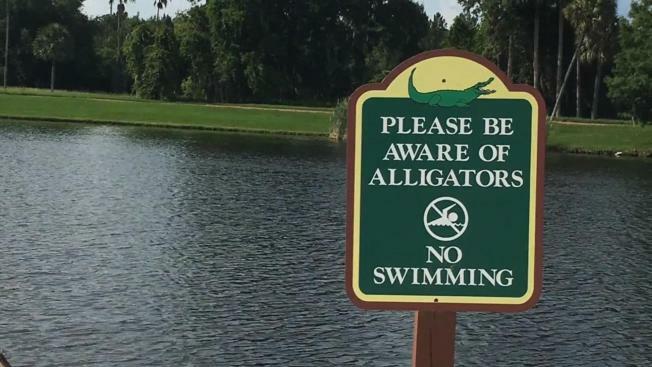 But other resorts warn about alligators. Singer dealt with a similar situation back in 2007 when a tiger escaped from the San Francisco Zoo and mauled a teenager to death. He says so far Disney is doing what it should. "They apologized, sent sympathy and are cooperating with law enforcement," he said. They're posting new signs and doing their own investigation." An alligator bit another child on a Disney property in 1989. He survived. Going forward, after the deadly attack, Singer says Disney will have to improve communications about what's in the water and why swimming isn't allowed. "Part of the attraction is its a nature preserve," he said. "There's a big difference between being inside a theme park and being in a nature preserve where there is wildlife." Singer said he expects there to be a lawsuit in the case, and he expects it to be settled quickly to keep the family from any prolonged suffereing and to preserve Disney's image.